This user plays in wide-screen (1920x1080). This user has been on UESPWiki for 4 years, 2 months, and 20 days. This user is a Tower enthusiast. This user is a Dragon enthusiast. This user is a Ayleid enthusiast. This user is a Dwemer enthusiast. This user favourite weapon is Chillrend. This user is a scholar of the UESP ESO guild on the North American PC server. This user fights for the Ebonheart Pact. This user is knowledgeable about c0da. This user is knowledgeable about its Offical Add-Ons. This user has played TR3. This user is currently playing Battlespire. POG1N H1LVUT GOL UNT ZURUN3K, POG1N MAH, NUZ SED REYZAN. 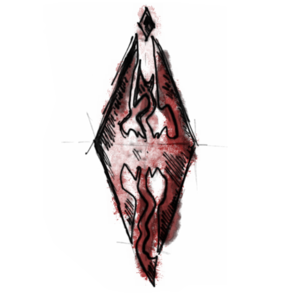 I've actually been hanging around the wiki since Oblivion but only recently decided to finally become a part of it and it is my go to resource for help when playing Elder Scrolls or if I want to brush up on the Lore or News surrounding the games. I started with Oblivion back in 2006 and played the absolute heck out of it, most of my memories are from there. 2 years later I got my hands on Morrowind and found I had a tough time getting used to 2002 graphics so it went back on the shelf for a while, then skip to 2009 with rumors of a new game on the horizon, I sit down and play it for real and find it was one of the best games I ever played and what started me into really diving into the lore of Elder Scrolls. Then Skyrim arrives and I play the heck out of that too and Elder Scrolls Online which I am playing right now (equally praising and condemning). The other games in the series I haven't had a chance to play though I have done my best to read up on and watch everything related to elder scrolls lore. I hope to rectify this in the future. Stone Head - Finally Found. This page was last modified on 5 March 2019, at 05:22.